Explore the towns of Fengjing and Xitang on this all-day private tour from Shanghai. 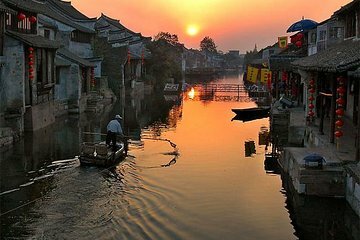 First, wander the streets of Fengjing before taking a relaxing boat ride. Following that, head to the town of Xitang where you’ll enjoy dinner at a riverside restaurant. Plus, taste the local rice wine and beer during your night out.